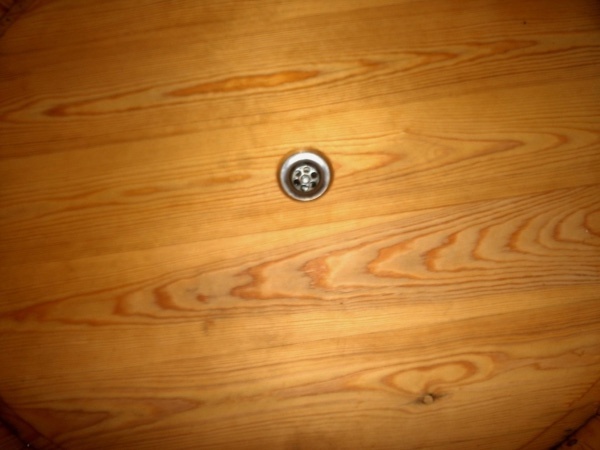 A practical solution for in and around your house is a wooden shower cubicle. This shower is especially suitable for comfortable privacy. These shower cubicles are manufactured from the best Nordic pine and are a sight to see. No flapping curtains or glass door, but lovely Nordic pine wood that holds the heat. The cubicle can be supplied oiled or blank. If a blank cubicle is supplied, you can impregnate the cubicle yourself in your own chosen colour. We can advise you on what is best. 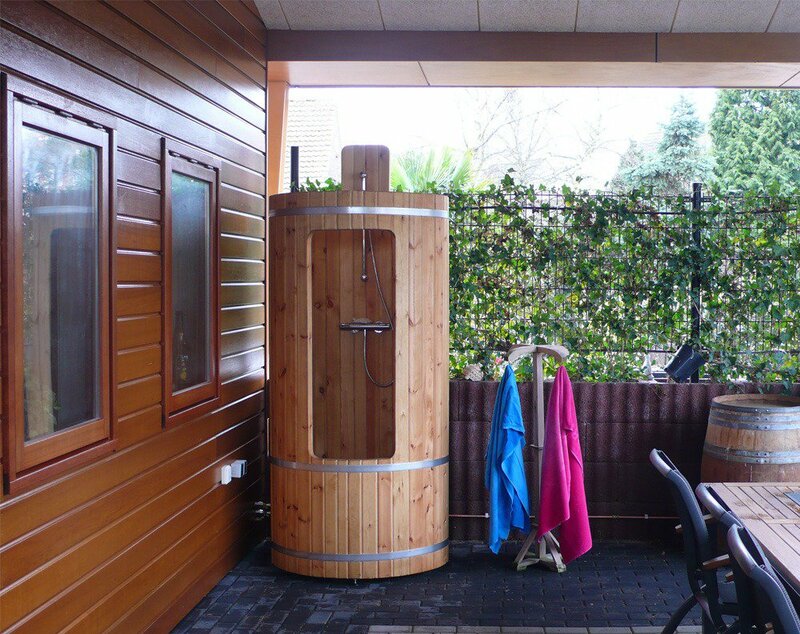 You can use the shower cubicle near your swimming pool, to cool off after a sauna or as an extra to your holiday home. Ideal protection and privacy. 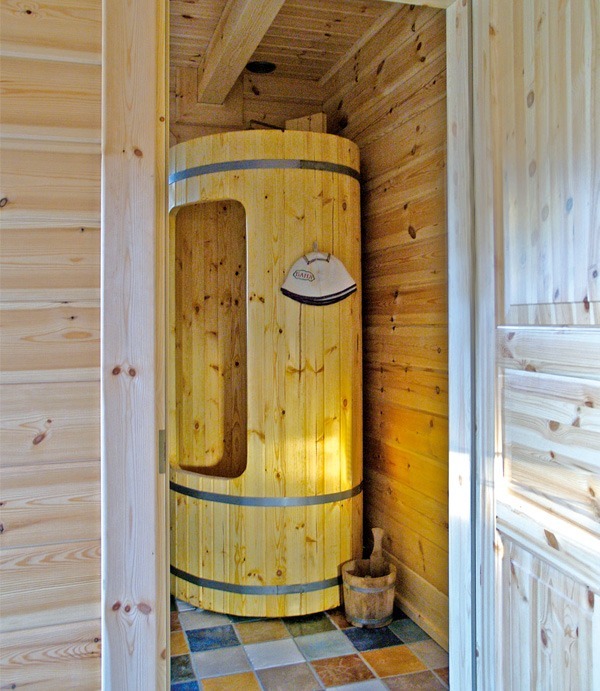 The shower cubicle is supplied standard treated with linseed oil. You can, however, order a blank wooden cubicle on request. This allows you to give your cubicle the colour of your choice. 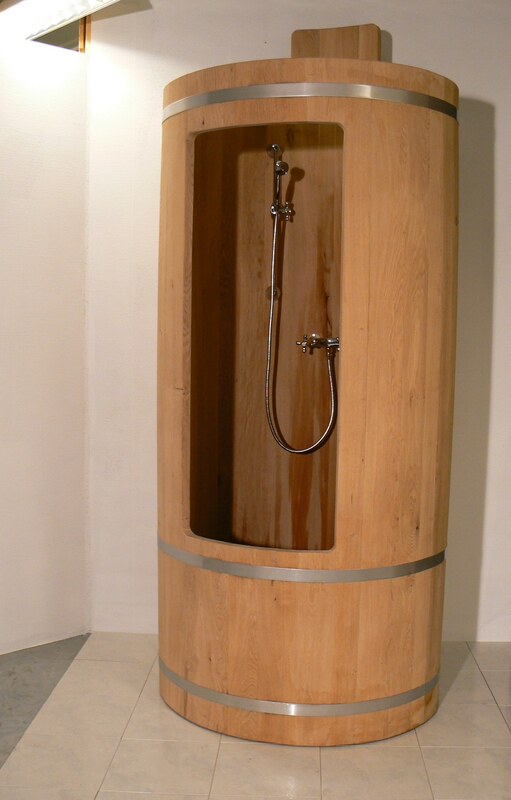 The shower cubicle is manufactured from the best Nordic pine wood and is a sight to see. The natural impregnation which the wood has, is a guarantee for years of pleasure. The shower cubicle has a height of 200 cm and a diameter of 110 cm. On request we can deliver the cubicle with a centre piece of 45 cm. This allows the shower head to be fixed to the cubicle. By fitting the plug in the shower cubicle, this can also be used as a children’s bath. Note: If your door is not wide enough or you wish to transport your shower to your holiday home, it is possible to dismantle the cubicle and assemble it again later. With a TÜNNI (hot tub), your leisure time takes on a whole new form. Bathing in the Summer or the Winter, no matter the weather, it is possible. The combination of the warm water, the open air and the atmosphere takes you into a whole new world. A Tünni is environment friendly because it requires no chemicals or electricity. The water is heated by means of a stove. A Tünni is an excellent product, durable and of a high quality. © 2018 Baden Van Hout. All rights reserved. Enter your details here and we will send you a quote within one day. Vul uw gegevens in en we sturen u binnen een dag een prijsopgave terug. Entrez vos coordonnées et nous vous enverrons un devis dans un délai d'un jour.